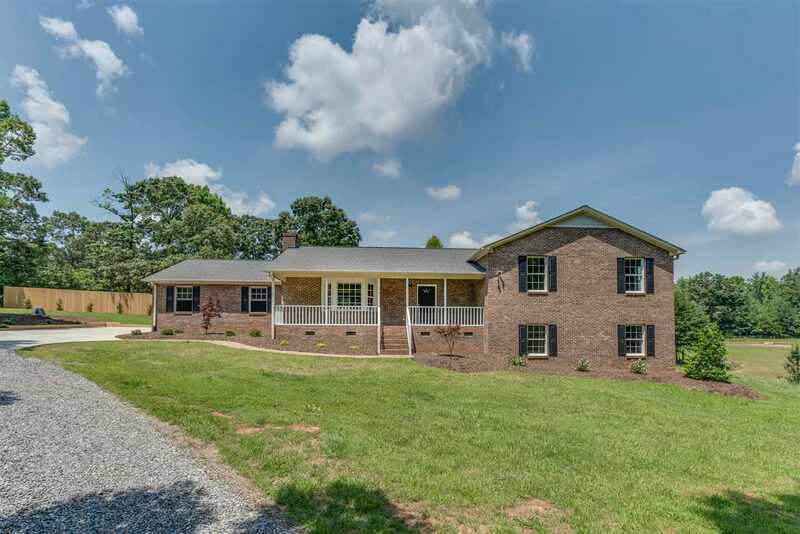 Beautiful split level home with great curb appeal on 3.33 acres. Totally remodeled. Large kitchen with everything new including cabinets, granite counters, stainless appliances with large deck off kitchen. Bathrooms have all new fixtures, cabinets and granite. Beautiful new wood floors in living, dining and kitchen. New private well. New HVAC. Lower level would make a great recreation room 28x37 plus a full bath. Master bedroom with full bath and walk in closet and opens out to private balcony. Room for a small pasture. Stream on property. Only apprx. 2 miles to Meadow Brook Golf Course and 15 minutes to TIEC.